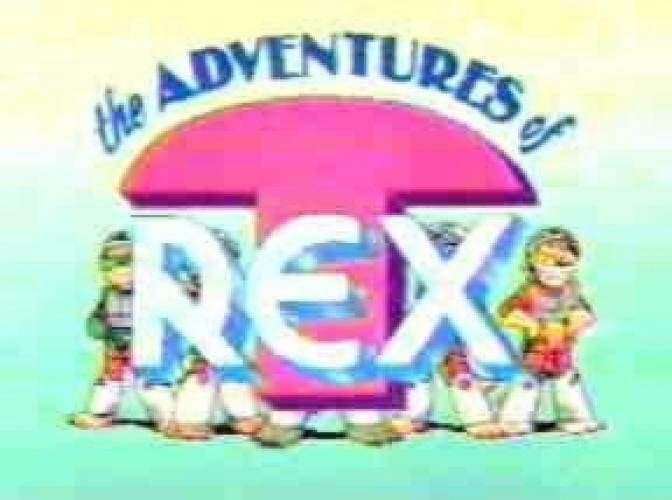 When will be The Adventures of T-Rex next episode air date? Is The Adventures of T-Rex renewed or cancelled? Where to countdown The Adventures of T-Rex air dates? Is The Adventures of T-Rex worth watching? Set in a world of anthropomophic dinosaurs, brothers Bernie (blue), Bruno (pink), Bubba (green), Buck (yellow) and Bugsy (purple) were born with special powers to help fight crime. Each brother's special power was related to a specific part of their anatomy; Bernie's legs, Bruno's arms, Bubba's tail, Buck's mouth and teeth, and Bugsy's telekinetic eyes. The group rode out on their Rexmobile to battle "Big Boss" Graves, crime kingpin of Rep City (the show's setting), and his evil organization, The Corporation. Kid sister Ginger was part of the singing group, but didn't know about her brothers' secret identities. The Adventures of T-Rex next episode air date provides TVMaze for you. EpisoDate.com is your TV show guide to Countdown The Adventures of T-Rex Episode Air Dates and to stay in touch with The Adventures of T-Rex next episode Air Date and your others favorite TV Shows. Add the shows you like to a "Watchlist" and let the site take it from there.